At the edge of the forest lies a small Woodville town. One day the town became shrouded in mist and no one could pass through. Citizens began to disappear, one by one and fear gripped the town. The city immersed into darkness and despair quickly spread. There is no way out and those who left for help never came back… However hope still lies within one orphaned child. Shadows may have taken his parents and his only friend, but it was unable to take his courage. Walk through the fear and darkness to restore his family. Unravel the mystery of the Shadows and free the town from their dreadful fears. 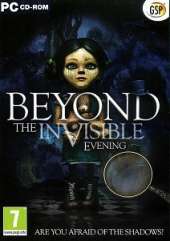 Features: Beautiful hand-drawn graphics; Explore an elaborate and atmospheric old town; An unusual and intriguing plot with many twists; Absorbing puzzles; Immersive soundtrack.